I got bored and found this. 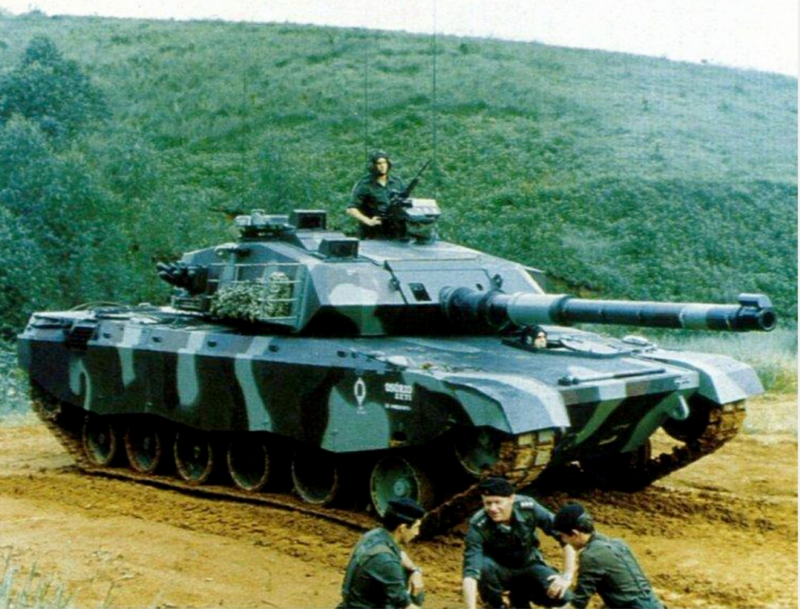 The Osorio was Brazil's attempt at creating a modern MBT. 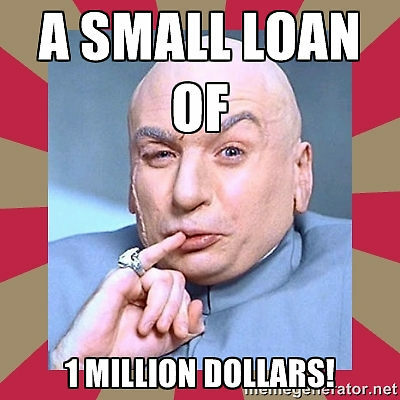 The EE T1 Osorio was a rather cheap MBT, at $3,840,261 USD apiece. At 42.9 short tons it was still relatively light but was armed with the 120 mm (4.72 in) GIAT G1 smoothbore gun (second prototype) or the 105 mm (4.13 in) L/52 L7 rifled gun (first prototype) and 2 cal.50 (12.7 mm) heavy MGs. It was protected by a potent combination of composite modules mixing aluminum/steel, carbon fibers, and ceramics. It was also fast at 26 hp/tonne, with a reliable German 12-cylinder MWM TBD 234 Diesel engine which gave 1,100 hp. This gave it a top speed of 70 km/h (43 mph) and 550 km range. Its hydropneumatic suspension was also a modern and effective solution. But generous hopes are often put in check by reality. The EE-T1 P1 was unveiled in 1985, followed by the P2 in 1986, both successful in tests, but no order ever came, and Engesa also went bankrupt. In August of 1989, it was formally announced by the Saudi Arabian government that the EE-T2 Osorio had won a tank competition held that year, defeating the M1A1 Abrams, AMX-40, and Challenger I. A contract for 340 Osorio’s worth US$7.2 Billion was written in that year. These tanks were to receive minor refits for improved performance in harsh desert environments, and were to be named the "Al Fahd" in Saudi service. However, the contract was apparently never signed by both parties. This dilemma was worsened for Engesa in 1990, when it was forced to lay-off 3 000 employees and declare bankruptcy, but even this was dwarfed by a greater misfortune. In 1991, Saudi Arabia went back on their agreement, and ordered the M1A2 Abrams instead - a combination of positive media exposure of the M1A1, coupled with an already close relationship with Washington and a sizable war debt to the US, made the Saudi procurement of an M1 Abrams inevitable. Edited by EquablezMonsterz, 23 May 2017 - 06:30 PM. lol, probably because it beat the M1A1 Abrams, AMX-40, and the Challenger in a contest which were good tanks at the time. Edited by EquablezMonsterz, 24 May 2017 - 04:11 AM. legit the article said that.